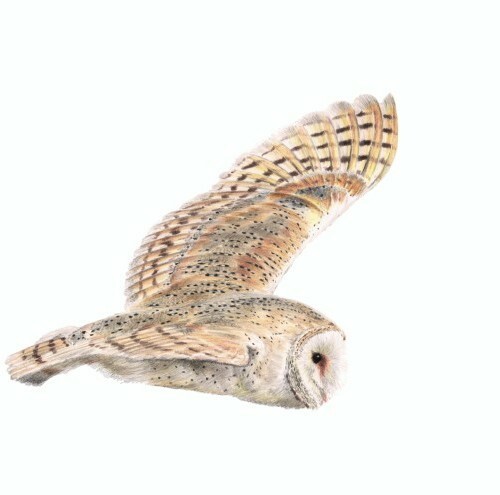 I’m a 37-year-old landscape and wildlife artist based in a small village on the edge of the Fens of East Cambridgeshire. I’m married to Susie and we have two wonderful children and two not quite as wonderful guinea pigs. I’ve always drawn and painted since childhood; my first major piece was an A1 size pastel drawing of Ely Cathedral I did when I was about 9 years old. It was displayed on the classroom wall for all to see, and a few years ago an old friend of mine got in touch via Instagram – we’d lost touch after leaving secondary school – and the first thing they said was ‘I remember that Ely Cathedral drawing you did!’. I was amazed that almost 30 years after it was drawn it was lodged in someone’s memory. I guess that’s a lesson on the impact art can have on people. 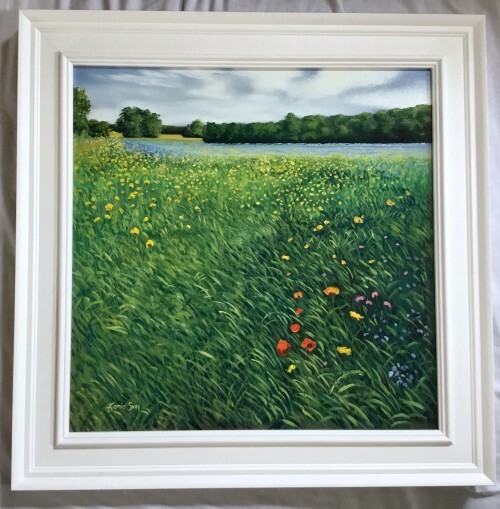 After leaving school and sixth form (dropped out after a year) I went into full-time work but still found time to ‘do’ art as a hobby, selling a few paintings here and there to friends and family. After working in digital printing, structural engineering, architectural facades and then for the National Trust I went through a period of ill health which resulted in leaving my job to recover. It was during this time that art became a part of the rehabilitation process, and I decided to produce a calendar of watercolour paintings of the local area, selling it online and at a few local events. I sold 60 calendars the first year, 70 the second and 85 the third year. This year I’m going to have to print even more! When I lost my job I took the big step as registering as a self-employed artist, even though I had no galleries selling my work, no commissions booked in and not having the health to commit to painting every day, but nearly four years later I’m fitter and stronger, I have a gallery selling my wildlife work and I’ve got commissions booked until August. 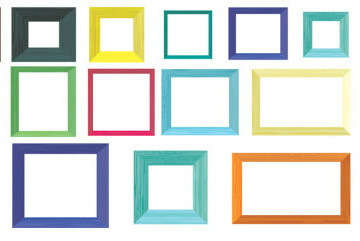 Do you specialise in any particular painting style? My watercolours tend to be more traditional, depicting local village and farming scenes, or the architecture of Cambridge and Ely; these are popular with local residents. 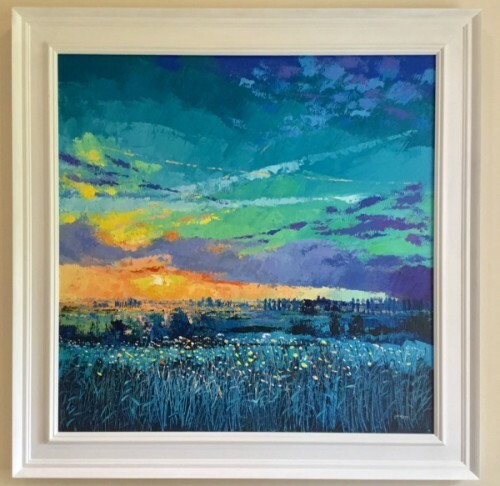 My acrylic landscape paintings are more contemporary, depicting the vast skies of the Fens with lots of colour and mainly using palette knives. These have lots of marks and texture on the canvas so when viewed at different angles the light reflects the colour in different ways. I’ve recently started using oil paints en plein air and in the studio, and these again tend to be in a more traditional or impressionist style. What was it like doing your first acrylic painting workshop? I had a great time teaching my first acrylics workshop. Though I have been teaching a small group watercolour class for about 18 months, this was a whole new ball game! There were seven students, some had painted before, some were complete beginners and their ages ranged from mid-teens to retired. I had hoped to encourage them throughout the day (no one wants a grumpy, always-putting-you-down tutor!) and the fact that they all left with a smile on their face and a finished painting in their hands shows they had learnt something and wanted to try acrylics at home too. In your career of painting, what’s the one painting that you’ve done that stands out the most? It would have to be my acrylic painting ‘Last of the Evening light (Ely Cathedral)’. Painted for a joint exhibition I had at the Darryl Nantais Gallery, Linton near Cambridge, it shows the full range of techniques I use and the boldest of colours I’ve ever used on a canvas – this painting hangs in our living room and I’m under strict instructions from my family to never sell it. If you could only give one piece of advice to aspiring painters, what would you give and why? I’d probably advise painting what you want to paint and not what you think other people will like. Otherwise, you’ll end up like a machine churning out a product for a mass market rather than create a piece of art that has your energy, emotions, feelings and thoughts within it. You’ll be amazed how often people see a painting and can connect with it and experience your own emotions through it just by the way you’ve painted it. My goals for this year are to have my own studio built – I’ve run out of room in the small spare room I currently use as a studio – and currently I have to bring my paintings down into the dining room to show clients; I’m looking forward to having a dedicated space where clients can view my work and also see me creating my work too. I’m also hoping to find some more galleries to sell my acrylics and oils – it would be great to turn the Instagram and Facebook likes into actual sales and start to see this side of the business pick up. In person, I currently have my wildlife drawings on show at The George Farnham Gallery in Saxmundham, Suffolk. They’ve almost sold out all of my work there, but I’ll be delivering some new works very soon! I’m also exhibiting at this year’s Cambridge Open Studios event in July, where you can meet me and see my various paintings which are all for sale.